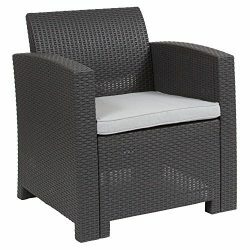 Give your home a new contemporary flair with the SUPER DEAL versatile Indoor-Outdoor Wicker Barstool. 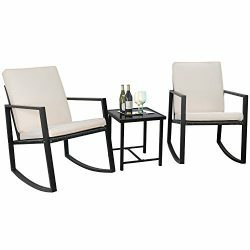 This chair is perfect for entertaining guests by your backyard bar or serving up homecooked meals at your kitchen island. 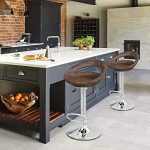 With style, comfort, and lightweight weather-resistant construction, you’ll love how your barstool seamlessly adapts to any environment. 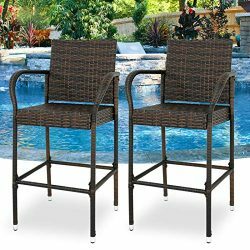 ★ SUPER DEAL wicker barstools are made out of tightly woven wicker with a strong powder coated iron frame. 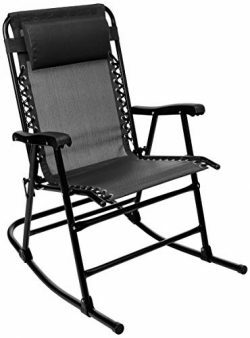 Max Capicity 280 lbs ensures them sturdy and strong enough for long years to come. 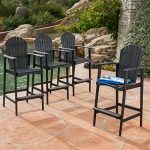 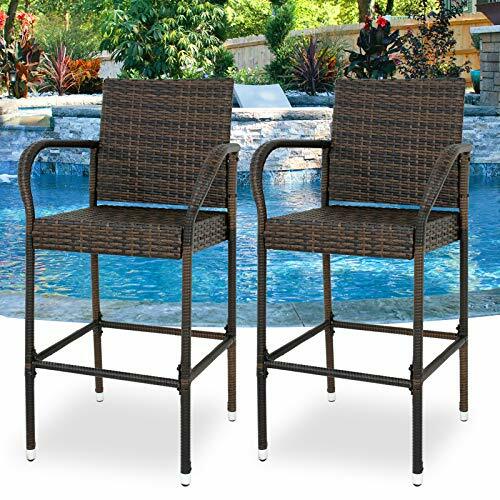 Moisture Resistant & Synthetic wicker protects the stools from soaking up water in case of spills or rain. 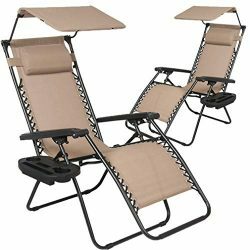 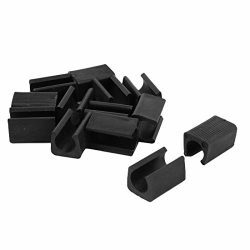 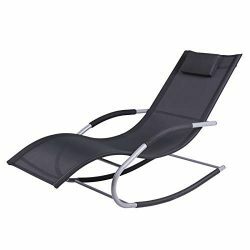 ★ The built-in footrest and armrest tube provide a comfortable place to rest your arms and feet. 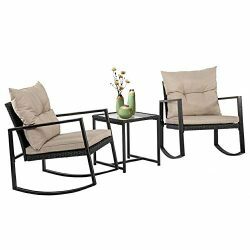 Dark tone color of the seats and brown resin wicker brings an elegant and classic style to your kitchen or patio. 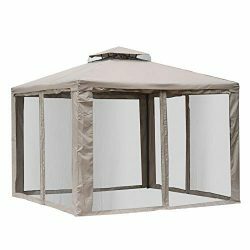 Perfect for any indoor and outdoor use. 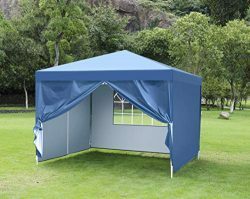 ★ Features UV protected frame, never unravel, rest or decay, allowing them to withstand outdoor weather while still looking as perfect as the day they arrived. 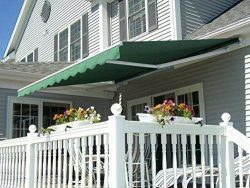 ★ Its compact & space saving design makes it easy to carry. 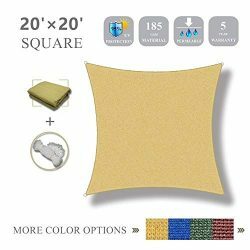 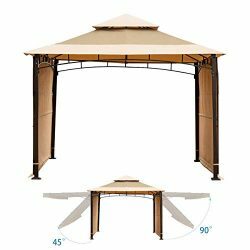 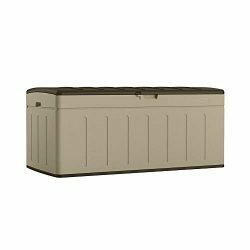 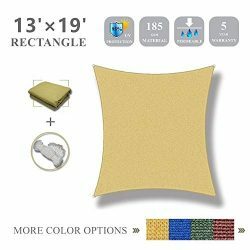 Perfect for all types of outdoor events, outdoor garden, park, patio, porch, poolside and yard. 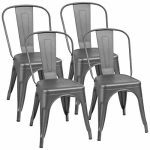 ★ Dimensions: 24″(L) x 20.5″(W) x 46″(H); Chair total height: 46″; Bar stool seat height: 30″; Distance from foot tube to floor: 12.8″. 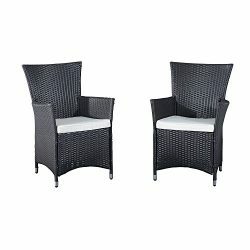 This pair rattan bar stool gather comfort and beauty. 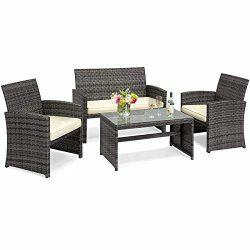 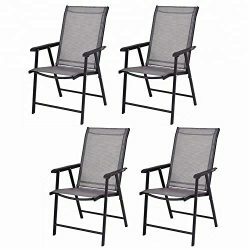 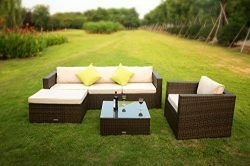 An excellent choice for any outdoor entertaining area. 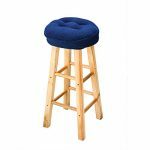 You can’t go wrong with these barstools.